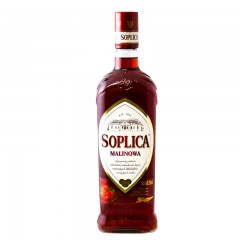 Soplica Vodka – Flavoured or Pure. 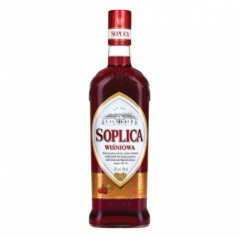 Soplica Vodka – Poland’s finest vodka either flavoured or pure packs great taste and a great punch. Find out more at TheDrinksBasket. Let me let you into a little secret, Polish vodka is a damned fine drink that little know of. I’m not knocking the more commonly known brands such as Smirnoff, Absolut, Russian Standard, Stolichnaya and the relatively newest kid on the block, Grey Goose, but any Polish vodka from the Soplica distillery is bound to tickle all your tastes. 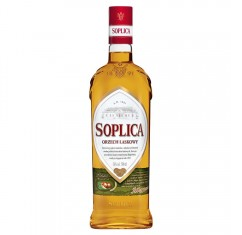 Soplica is one of the oldest brands of Polish vodka either as a pure or flavoured variety and originates way back to 1888 when the distillery was built with commercial production starting in 1891. 130 years later and the Soplica brand is synonymous with the best pure Polish vodka and flavoured vodkas. A stunning sweet hazelnut flavoured vodka that is highly aromatic, rich yet beautifully smooth on the palate and benefits from a long aging process and made to traditional Polish vodka standards and ingredients. A carefully blended grain vodka with carefully sun ripened Polish cherries, this 32% proof Polish vodka packs a punch yet is beautifully blended to create a sweet yet potent vodka to tickle all palates. Another beautiful flavoured vodka from Soplica that is carefully infused to have a sweet initial taste to the mouth that is shortly followed by 32% proof vodka. A sweet flavoured vodka that hits all the taste buds and warms you right through. To view all our Polish vodka we invite you to browse our selection. We are confident that you will find our Soplica range is just the tipple you will want, either pure or mixed in cocktails.